The role of amateur footage in archiving and documenting the past has only been recently acknowledged in the Italian media landscape. The article makes a comparative overview of practices of appropriating and re-using amateur heritage in different European countries and in Italy from the 70s onwards, when home movies as audio-visual resources were discovered by television authors and experimental filmmakers. Television programmes and documentary productions based on amateur cinema such as Inédits in Belgium, La vie filmée in France, Familien Kino in Germany and later the European co-production Unknown War are just a few of the earlier examples of productions aimed at re-telling history through unknown and unofficial audio-visual materials. Unlike other European countries, Italy has been confronted with a lack of policies for the collection and preservation of private audio-visual documents, which has impeded the accessibility of this type of material. An early Italian example of a production re-using amateur footage, La nostra vita filmata (RAI, 1986), did not achieve its aim of reconstructing the 20th century history through the lens of private film material and the voice of the amateur authors and witnesses. At the beginning of the new millennium, an increasing interest in amateur footage led to the birth of the Archivio Nazionale del Film di Famiglia (Italian Amateur Film Archive), founded in Bologna by the Home Movies Association in 2002. 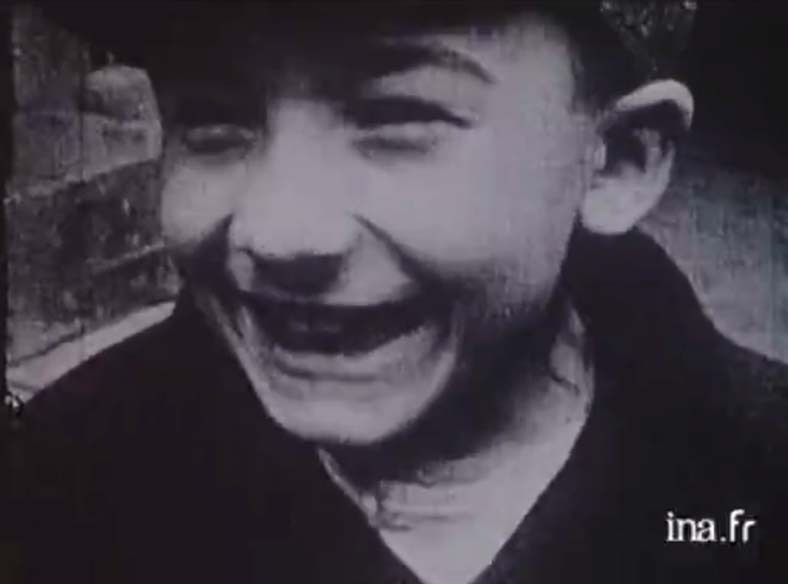 Two successful later productions re-using amateur footage (Un’ora sola ti vorrei and La bocca del lupo) furthered the enthusiasm in Italy for archiving and accessing amateur film. All of these initiatives have strengthened awareness of the potential of amateur film to represent and recreate the past, using the bottom-up perspective of the eyewitness. This article is a descriptive piece of the different initiatives that have raised awareness of, accessed, and re-used amateur film archives in Italy as well as in other European countries. 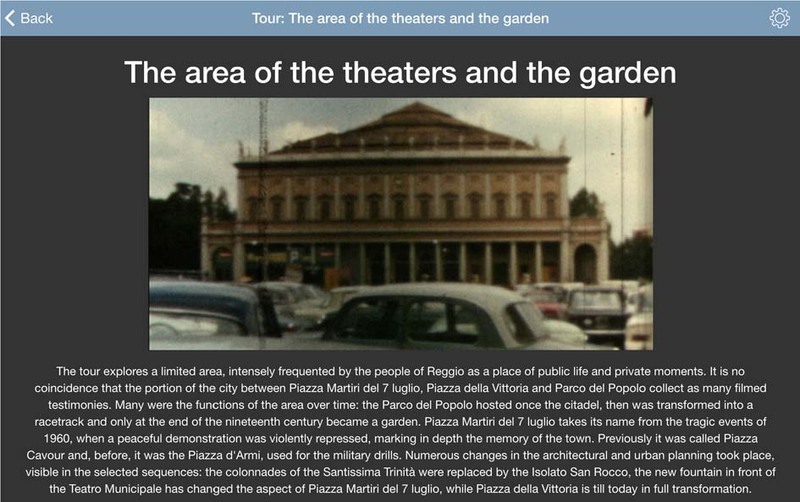 The discovery of amateur cinema and home movies1 as archive sources and their use in audio-visual productions (documentary film, television, new media) in Italy is rather recent, unlike in other European countries. Moreover, the cultural potential of amateur footage as shared heritage and collective memory is not yet entirely acknowledged. In this article I will briefly investigate the impact of the amateur audio-visual heritage in Italy and its role in contemporary documentary film, as well as its re-use as private and historical evidence in audio-visual and new media productions, a phenomenon that—with a few exceptions that I will highlight below—dates back to less than fifteen years ago. The article will explore earlier attempts at re-using amateur footage in Europe and tries to make sense of the relative delay with which Italian archive-based productions have started to re-work and contextualize this type of footage. Italy, as opposed to other European contexts, lacked a proper local, regional and national policy for the collection and preservation of private audio-visual documents. The result has been the general unavailability or inaccessibility of these sources until specific archival projects were developed. As visual sources, amateur footage plays the specific role of being an eyewitness of history.2 Its claim to authenticity is without doubt strong: what could be more authentic than a home movie, which makes use of very basic techniques and is not part of a complex production industry? The direct look into the camera of mothers, children and fathers, their naivety and spontaneity in front of the cameras instil a regime of belief in contemporary viewers. But considering these images as fragments of a captured reality, as they mostly are, would be an overt simplification. They are the result of a mise-en-scène that is staged in the routine of ordinary life and domestic rituals. Moreover, amateur footage focuses on feelings, producing an ideal visual album in which the memory of the family is recorded and where the narration of private stories, with their historical background, finds its space. The leitmotif of home movies is thus defined by real-world (and not reconstructed) scenarios in which people are captured in different settings: the houses in which they live, the roads on which they drive, the public places they visit. Is this amateur heritage available? Amateur film has been inaccessible as long as it remained confined to the spaces of its social use: family, private clubs, associations, etc. Today this immense patrimony could become a significant archival source, but a proper cataloguing of it is needed to supply historians and filmmakers with the necessary metadata for analysis and use. Fortunately, in the past twenty years there has been increasing awareness of this heritage, which has been raised by practices of collecting, preserving and re-using as well as by scholars’ interest in it. At first glance it might seem paradoxical that amateur film as audio-visual heritage and a historical source has been discovered by television authors and experimental filmmakers already in the 70s and 80s, well before academics did. There are several examples, in the European context, of programmes/series and of television documentaries based on amateur footage that tried to tell the history of a country from a new perspective using unknown and unofficial audio-visual materials. The examples discussed above paved the way in each country to reflect on home movies as audio-visual sources, while promoting—probably before any archive institution did—the collection of this private footage. Unknown War (1994) is an interesting case of a television series focused on research in film archives and a virtuous example of a European co-production promoted by the INEDITS Association. The producers are Alfred Behrens and Michael Kuball from Germany, Péter Forgács from Hungary, André Huet from Belgium, and Godelieve van der Heijden from The Netherlands. There was no Italian contribution to this project in terms of production resources and authorship and hardly any contribution in terms of archival footage. Unknown War consists of five documentaries everyday life during the Second World War. The series, based on amateur film material from various European archives, aims to acquaint the public with the amateur films shot during the war and their ability to document the historical reality without censorship, in contrast to official newsreels and propaganda films. Here, again, amateur film, reframed through the subjects’ testimony and re-used as part of an innovative audio-visual production, becomes a medium for original film writing and historical narration. The Italian scene looks rather different when compared to other European countries and their interest in home movies and amateur film. One of the earlier attempts to recycle private film footage emerged from television. La nostra vita filmata (‘Our life filmed’, RAI, 1986) is an isolated but interesting case study on the re-appropriation of amateur footage. Documentation provided by Luca Ferro, one of the creators and authors of the programme, helps retrace briefly the history of that production. In 1982, RAI launched an assiduous television, radio and press campaign entitled La vita filmata (‘Life filmed’), which opened a public call for home movies to take part in a television programme, which was presented as “a kind of history of Italy seen through private eyes.”12 The call collected about 2,000 reels, which were transferred to video and then returned to their owners. After the acquisition, a long process of classification and reorganization followed under the direction of Luca Ferro. The starting premises for this production and its earlier results are relevant, as they followed the French and German models. 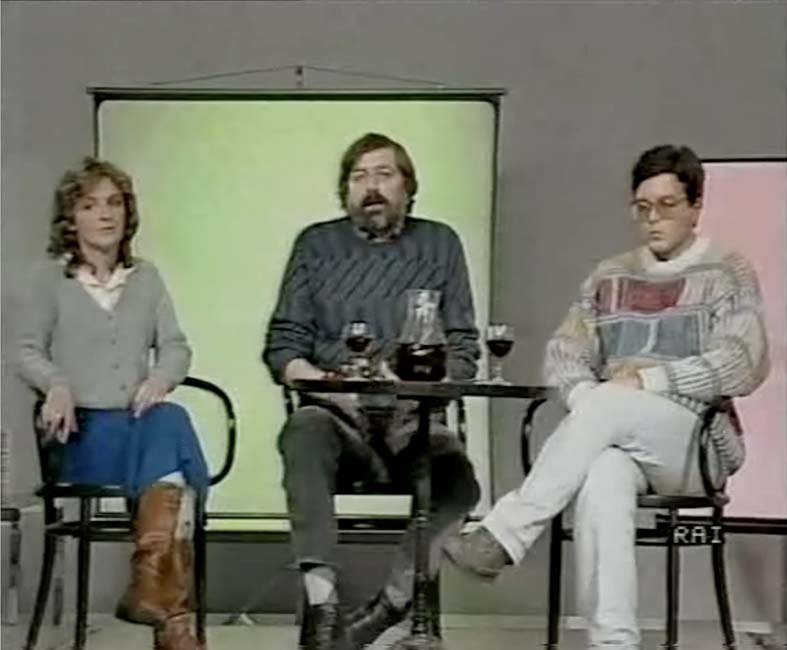 However, when the programme was eventually produced and then broadcast in 5 episodes of 35 minutes each, scheduled in prime-time starting on September 22, 1986, the final results strayed from what was originally intended (Ferro himself was not part of the later decisions made).13 The programme used a different strategy that aimed at securing the popularity and accessibility of the production. The archival film material was inserted as part of a mise-en-scene made up of the television studio and a presenter standing behind a prop that looked like a bar. The presenter was Francesco Guccini, a well-known singer and writer, who, together with a group of teenagers, made ironic comments about the amateur footage. The presence of teens in the programme was meant to signify a bridge between the past and present, which Guccini himself mediated. This resulted in a programme having a convivial atmosphere, and which frequently emphasized the contributions of those who had provided the private images. Nevertheless, the original idea of a programme entirely based on amateur footage was in fact abandoned: the amateur footage (e.g., recordings of Milan in the early 40s showing the fascist ceremonies and the bombing, footage of the fashionable world of the upper class in the 30s or footage of the Ethiopian War and the Republic of Salò) became a mere insert, a cut-in and was only occasionally treated as a document able to reveal, in an unusual way, Italian history. The programme revisited its original idea when private footage was combined with Guccini’s personal experience, for example, when he introduced the ritual of slaughtering the pig through the lens of amateur footage and interpreted it as a token of cultural identity. But the testimonies and stories of the amateur filmmakers, to whom the footage belonged, were not at all featured. This shows how La nostra vita filmata did not necessarily contribute to improving the state of amateur film heritage in Italy, especially when compared to other European countries. Home movies have remained rare and not commonly used audio-visual sources, remaining trapped within the sphere of anonymity. In spite of these limitations, the original idea behind producing La nostra vita filmata demonstrated the interest and awareness of the Italian public broadcaster toward private archives. This could also be explained by the impact at the time of microhistory,14 a historiographical method focused on the reading of the individual circumstances and social conditions of the lower classes, expressed in the so-called “popular culture.”15 The connection between amateur footage and microhistory is evident: beyond the added value of personal memory, amateur films (from home movies to private, experimental, documentary and fiction films) provide an extremely vivid image of the social and cultural world to which they belong, showing in an immediate manner—‘from below’—the scenarios, daily life, rituals and events that intersect with the official institutionalized histories. The small-scale project of La nostra vita filmata also pointed out a structural limitation in Italy. In comparison to other countries, where local and national amateur film archives emerged since the early 80s, Italy did not develop structures for collecting and preserving amateur footage. At the same time, television broadcasters—without the support of external institutions—did not have the skills and could not replace specialized archives in the safeguarding and archiving of private films. Un’ora sola ti vorrei (‘For one more hour with you’, 2002), is a documentary film based on family footage. 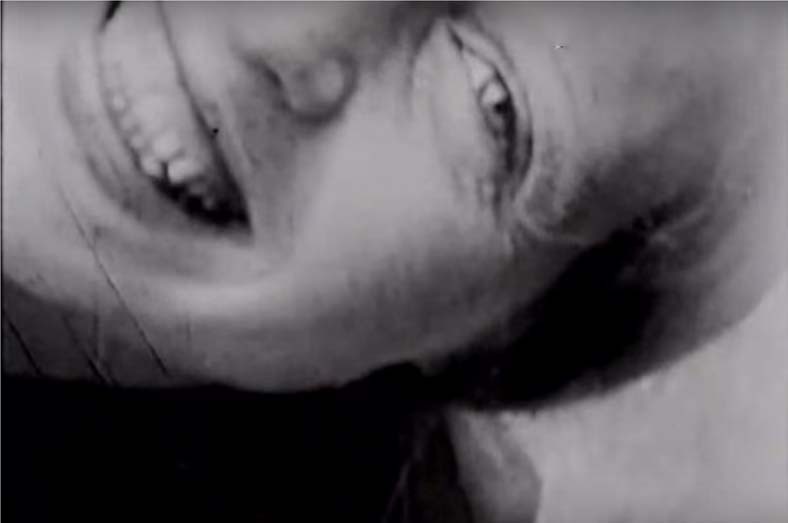 The filmmaker Alina Marazzi reworks her maternal grandfather’s footage to recall the figure and the biography of her mother Liseli Hoepli (1938–1972), who had taken her own life while Alina was still a child. The home movie is the medium through which the author, after many years, gets back in touch with the parent. But the amateur footage—beyond the narration of Liseli’s childhood, adolescence and youth, of her life after marriage and giving birth to two children and her frequent recoveries in psychiatric hospitals—also offers a vivid image of the social context of a well-off bourgeois family living between Milan and Switzerland. This film, which combines images and documents such as letters, Liseli’s diaries and medical records, was a kind of epiphany in Italy; it had great emotional impact and sparked a debate that crossed the national borders. Besides being screened at festivals and exhibitions and distributed through movie theatres or video-on-demand, the film was broadcast by various television channels and stands out in Italian cinema for its originality. Furthermore, the importance of Un’ora sola ti vorrei is also highlighted by the expressive and evocative intensity of the amateur film material, especially when used to narrate private events that, when belonging to a shared or at least widely recognizable experience, become universal. Moreover, amateur footage was essential to showing the social context of Hoepli’s family, even though the purpose of the film was not primarily to depict a specific historical era. La bocca del lupo (‘The Mouth of the Wolf,’ 2009) by Pietro Marcello is different example of re-use of amateur film footage. It discloses an extremely original film language, which narrates the love story of the former jailbird Enzo and the transsexual Mary, two underprivileged people in today’s Genoa, who appear to have emerged from a lost world. 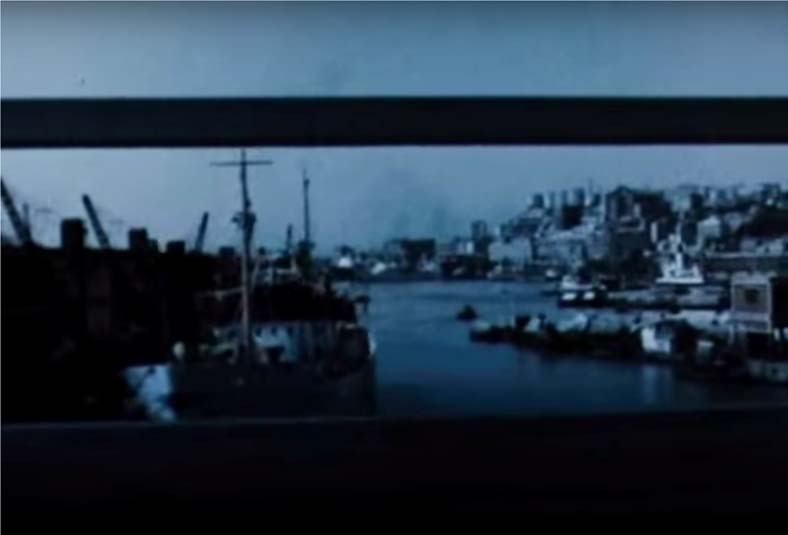 The film is beyond doubt a portrait of the port city, in the form of visual poem, filmed in the present time and enriched with film footage of the 20th century. The coexistence of these different typologies of footage generates a nostalgic atmosphere and gives the impression of a suspended time. This is due to a creative and lyric reworking of archival images—mostly amateur—combined with the appearance of a modern urban landscape where traces of the past—resistant to changes—are still visible. The found footage was recovered after a long search in the Genoa area, and the technique used by the editor Sara Fgaier aimed to evoke an ‘archaeological’ excavation into the memory of the city. La bocca del lupo, a film situated between a documentary and a fairy-tale, shows how found footage has the aesthetic quality and potential to recreate a vanished world. For example, the last, long, sequence, filmed in 9.5mm in the 1920s at the sea of Paraggi16 shows images of the pastimes of a bourgeois family at the beach. The images are enough to evoke a ‘lost time’ that inevitably survives only in the sphere of memory. When the amateur footage is reworked, it releases an unexpected expressive power. This does not provide an authentic historical perspective, but it is an attempt to use found footage as ‘spoils,’ fragments used for re-building the past into the present. La bocca del lupo received awards at international festivals, excellent reviews and had a good distribution. The film could be seen as having emerged from the increasing attention given to film archives, while itself making a contribution to this process by revealing and re-circulating a valuable, hidden, even unexpected one might say, heritage. The archive was created from scratch and has grown exponentially thanks to the initiatives made and the awareness created by the contributions of amateur filmmakers and their families.18 Within a few years, the archive has not only collected and stored the film material, which is increasingly being digitized and catalogued, but has also promoted many projects aimed at the production and valorisation of found footage. In doing so, it has consolidated its role in making this type of heritage available to scholars, filmmakers, and to a lesser extent, producers developing television programmes dedicated to historical topics. In over 10 years, Archivio Nazionale del Film di Famiglia has archived 5,000 hours of found footage, a volume equivalent to the film heritage of the Historical Archive of Istituto Luce, which, together with the public broadcaster RAI’s archives, provides a public and official insight into the archived history of Italy. The Home Movies Association quickly became the main reference point for researchers working on Italian amateur footage. This network of researchers slowly expanded through many small-scale projects (since the work on amateur cinema remains mainly local), as well as through initiatives of collecting private footage. The Home Movies Association, throughout more than a decade, has become an integral part of the Italian audio-visual production landscape. As the main institutional player for the retrieval of amateur footage, it has acted as an innovative tool for archive-based productions. This has been the case despite the difficulty of managing a heritage that is not fully digitized and catalogued due to a lack of resources and despite this kind of footage being often considered an ancillary element in productions. This situation is not free of challenges, however. First of all, productions based on amateur footage do not necessarily treat this archival material as historical testimony. In the case of amateur archives, the prevailing ‘danger’ is represented by the nostalgic atmosphere that can be attributed to these sources in the absence of critique and analysis: nostalgia is thus often misinterpreted and exploited. Second, the Home Movies Association is the first institution involved in the recovery and promotion of amateur cinema in Italy. Some further local initiatives tried to achieve the same result but often failed or were unable to produce real and lasting results, mostly because of the common practice of underestimating the challenges of preservation of the original footage (once digitized) and failing to implement an archiving and cataloguing system in line with international standards. A third challenge is the lack and inadequacy of resources; the Home Movies Association itself has difficulty in finding adequate financial support to support the archive, which keeps the potential of these collections unexplored. Last, but not least, these collections are substantially inaccessible online. Under these circumstances, which what could be possible sustainable perspectives for the future? The projects launched by the Home Movies Association and its partners (mainly universities and production companies) may already be shaping a direction for future development. Different types of projects were experimented with, starting with the more traditional cinema documentary productions based on film collections,21 e.g., Il treno va a Mosca/The train to Moscow by Federico Ferrone and Michele Manzolini, 2013, focusing on the reconstruction ‘from below’ of communist Italy in the fifties achieved through the lens of unseen footage of a group of militants.22 The same ‘from below’ perspective on historical reconstructions was also carried out through experiments with editing and interactive storytelling strategies as in the case of Klynt.23 These techniques were also applied to the Nicolò La Colla amateur film collection, which provides a unique panorama of daily life in Italy under the Fascist regime from the thirties to the early forties.24 Through digital functionalities, La Colla’s collection, consisting of eighteen 8mm film reels, can now be openly browsed both in a chronological order (by means of a timeline) or by thematic search though the items’ metadata. In other cases, new media and digital technologies enable innovative solutions for re-working amateur footage. By means of exhibitions, installations, performative projections and online presentations, the value of amateur heritage can be returned to the community, primarily in the context of local projects working with family films as memory devices that can trigger individual stories of a collective value.25 Amateur footage, once selected, edited and geo-localized is re-worked into apps and digital platforms that allow users to experience them as guides into historical maps of the city of today, as in the Play the City project (2015), developed with the University of Modena and Reggio Emilia.26 Following the slant of the cinematic urban archaeology, Play the City tries to take an innovative approach to amateur footage shot in the city of Reggio Emilia, reworking it into a geographical experience that allows users to access and explore the unusual urban paths where the amateur material was originally shot. 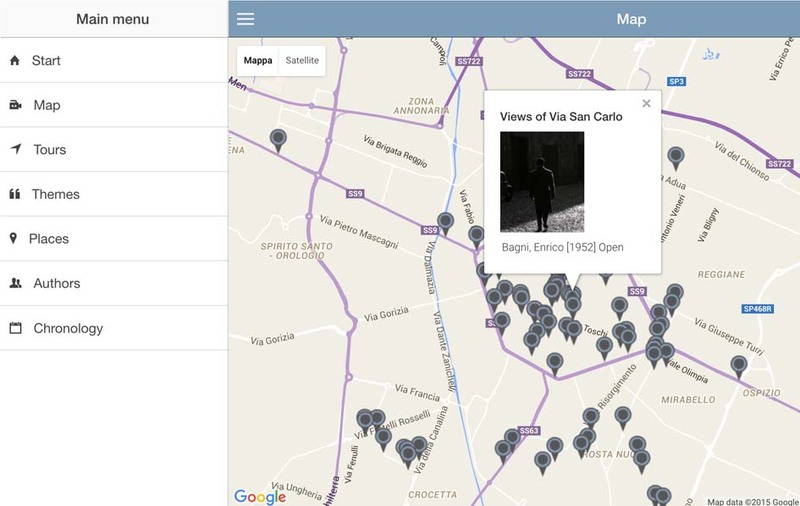 The project supplies its users with a sort of a time machine, showing the changes in the landscape over time and how these changes have been perceived by the amateur filmmakers and local residents. To conclude, the digital environment that enables the creation of online databases can increase the accessibility of amateur film heritage. The historical, cultural and social implications of this online working environment are yet to be fully understood; however, this allows exploring the potential of amateur footage for discovering and narrating the history in a myriad of ways, including by recreating the eyewitness experience on the past. 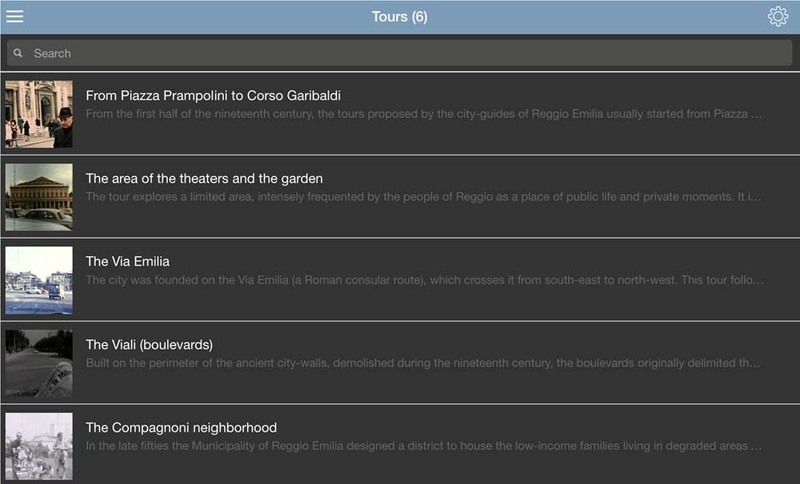 Paolo Simoni holds a Ph.D. in Cultural Heritage from the Politecnico of Turin. His professional activities focus on archiving, valorising and reworking ‘private’ and amateur footage. He is a founding member and the president of the Home Movies Association of the Italian National Amateur Film Archive (Archivio Nazionale del Film di Famiglia), based in Bologna. He has produced documentaries, visual installations, exhibitions and live performances. Dr. Simoni is a research fellow at the University of Modena and Reggio Emilia. He is the author of several articles and essays on amateur cinema, focusing primarily on the relation between audio-visual sources and personal stories.